Home B Brie: What Is Brie? Brie is a creamy cow’s milk cheese from France which is well known around the world. 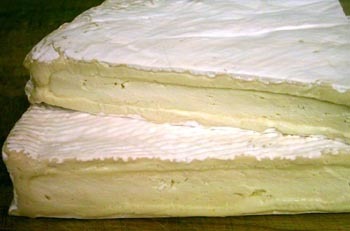 It was named after Brie, the French province in which it originated. It is pale in color with a slight grayish tinge under crusty white mold. The white moldy rind is edible, and is not intended to be separated from the cheese before consumption. Sometimes called the “Queen of Cheeses,” Brie is a delicious dessert cheese, usually served at room temperature or even slightly warmed. It has a distinctive rich, creamy flavor which is deliciously mild and complements fruit, high quality bread, and anything else the cheese can be smeared onto.